There has been a constant debate on the age for women to get married. Some stress on the point of getting married during the early 20s while others are of the opinion that late 30s is a better time. However, when we consider the biological clock, the best age to get married is from 25 years to latest by 29 or 30 years. The best part is that both the bride and groom are young so you can grow, move and change together as a couple. When you are in your late 20s till 30 years, you are finding out who you are as a person and enjoying the fun days of evolving your personality. Getting married and settling down with a like-minded person helps you support and nurture the relationship early on. 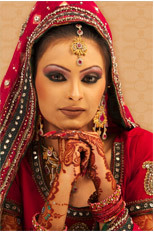 By registering at matrimonial website such as a shadi.com helps you look up and find your soul-mate, who shares similar views helping you grow together.You have time to party, travel and have an established social career and circle by the time you reach your late 20s, so settling down by that time, helps you continue with the next step in life. You’ll be young parents with plenty of energy to devote to energetic children, as most are and keeping up with their varied activities. And if you decide to have a large family, you have plenty of time ahead of the ticking biological clock. Your chances of having healthy children are highest when you are below the age of 30-35 years, according to doctors.You have higher chances of finding the best life partner is when you are below the age of 30 years as men prefer settling down between the ages of 28 to 32 years. As you reach 30 years and later, most of your friends have families of their own and most eligible men are already married, so your chances of finding the perfect man lessens.